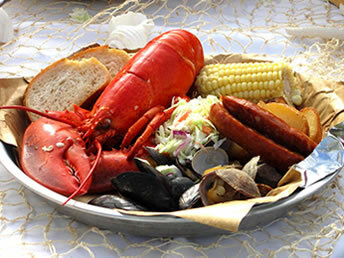 Sam's authentic New England style Lobster Clambake is more than a meal...it's an experience! 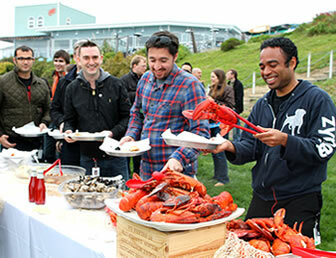 Sam's ChowderMobile will bring this east coast tradition to the location you choose – your backyard, office, or even the beach. 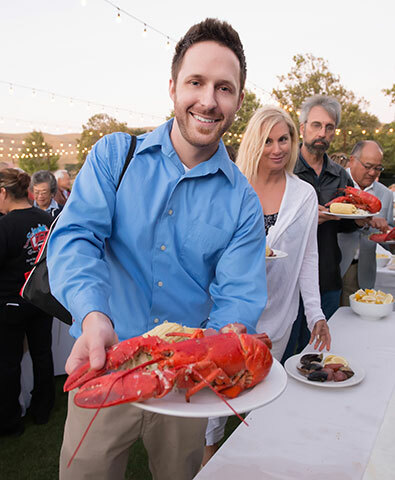 The three-course seafood feast begins with piping hot cups of Sam's renowned New England style Clam Chowder, followed by a seafood feast to be remembered by all. A large wooden steamer box is placed on a bed of hot coals and carefully loaded with fresh whole Maine lobster, clams, mussels, red potatoes, fresh corn-on-the-cob and savory Andouille sausage, and layered with special Maine lobster seaweed. 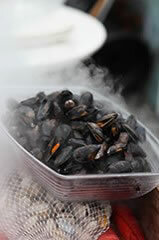 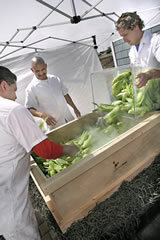 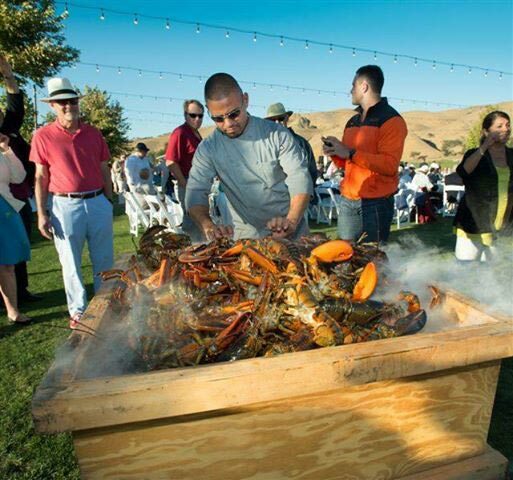 The box is covered in the traditional manner with a special burlap tarp, and steams for an hour, bringing out the smoky sweetness of the shellfish. 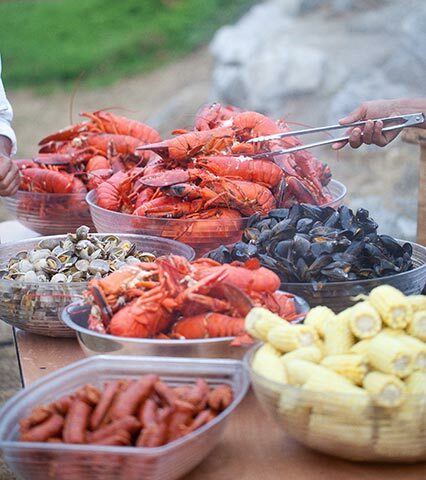 When the Lobster Clambake is complete, guests enjoy the excitement of the "unveiling" as the steam billows out and the seafood is poured into huge family-style bowls in preparation for serving. Guests then serve themselves to the incredible seafood feast before them, ending with juicy watermelon for dessert. 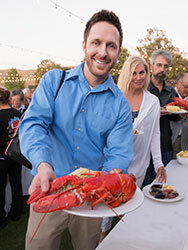 Additional dessert options, such as our famous Key Lime Pie, are available for a small upcharge. 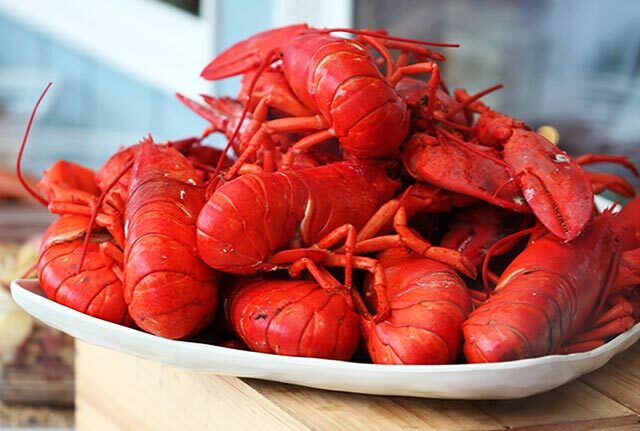 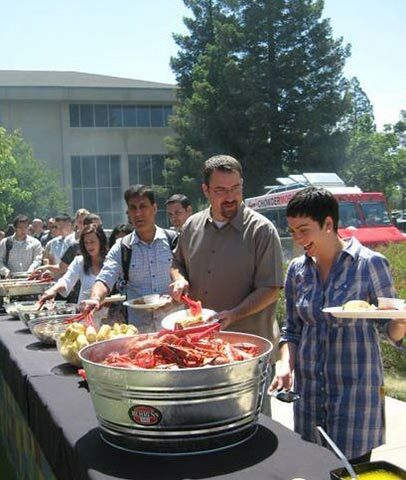 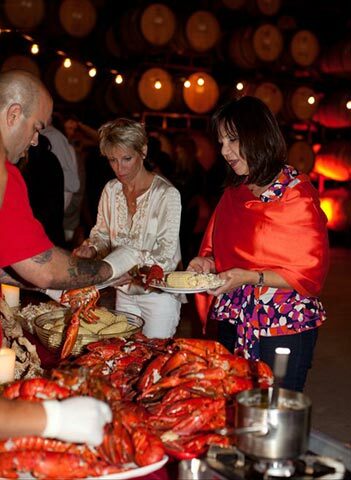 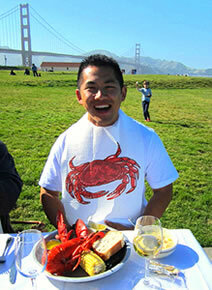 To host your Lobster Clambake, let us know more about your special event.